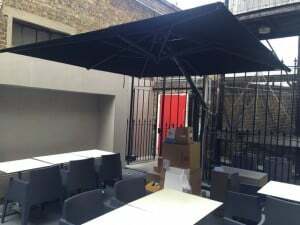 Jumbrella is just another word for a giant parasol. Jumbrella is a catchy word that is a combination of the phrases giant/jumbo and umbrella. 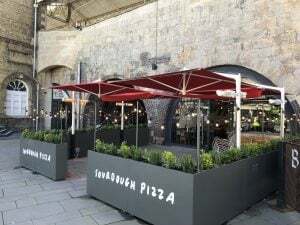 Jumbrellas are expertly designed parasols which can help provide any outdoor space, from pub gardens and al-fresco roof terrace restaurants to hotels and tourist attractions with a practical and attractive solution to all your shelter and shade needs. If you’re looking for a Jumbrella, you’ve come to the right place. Whatever shape, size or colour you are looking for, our varied selection will meet all of your needs. We have a wide range of Jumbrellas which can be printed with company branding to make sure your business really stands out. Our Jumbrellas are built to withstand the elements, ensuring proper year-round use even in the most unpredictable weather conditions. 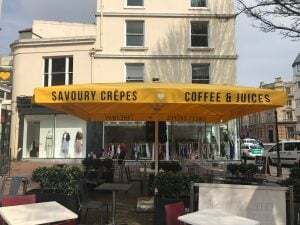 Not only will our fantastic range of products provide your existing customers with protection in all weather conditions, the canopy will also provide effective branding and marketing opportunities to attract new customers. If you are looking to improve your outdoor space, talk to Radiant today. 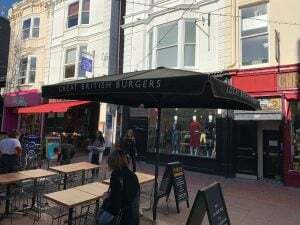 Some of our latest projects….